The Baltimore Bracer cocktail is a beautiful drink that features a healthy dose of anisette. So much so that if you can’t stand the flavor of black licorice, you probably should just give this one a miss. 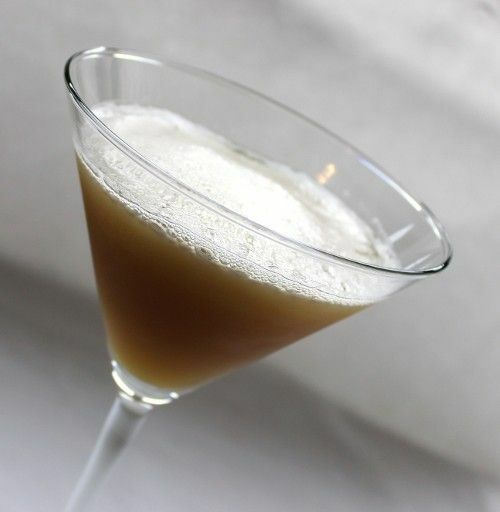 But if you do like black licorice, that powerful note is balanced out by an equal amount of brandy, and an egg white (or egg substitute) gives the whole drink a creamy, frothy texture. The resulting flavor depends a lot on the brandy you use, but the anisette will always be the strongest note, followed by whatever fruity notes your brandy has. Fill a cocktail shaker with ice and pour in the ingredients. Shake thoroughly and strain into a cocktail glass. I highly recommend that you dry shake the ingredients add the ice and shake again! Much more consistent texture!